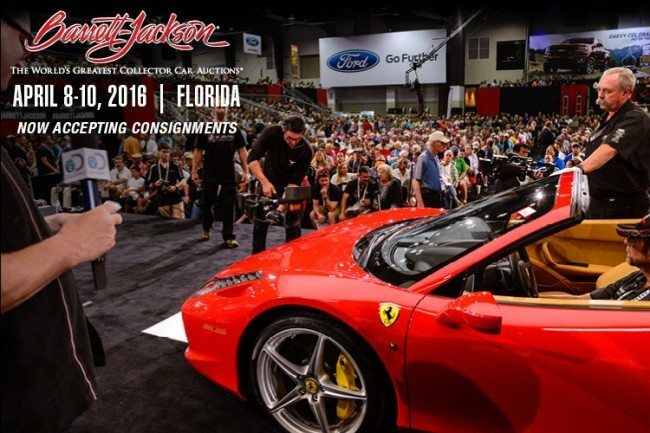 Join Barrett-Jackson for 3 days of exciting auction action at a new location in West Palm Beach on April 8-10, 2016. With over 500 vehicles anticipated, there are sure to be cars that interest everyone. Visit www.barrett-jackson.com for full details.